Applying a discount is one of the most effective strategies to increase sales and gain customers' attraction. Acknowledging this situation, Mage-World is proudly to release the Daily Deal extension for Magento 2 to enhance your sale promotion and raise up your revenue. 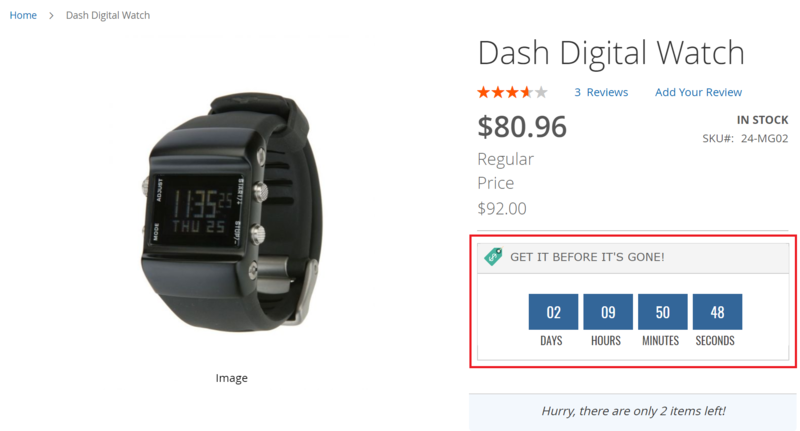 Magento 2 Daily Deal extension motivates customers to buy products by displaying a countdown timer on the product page. 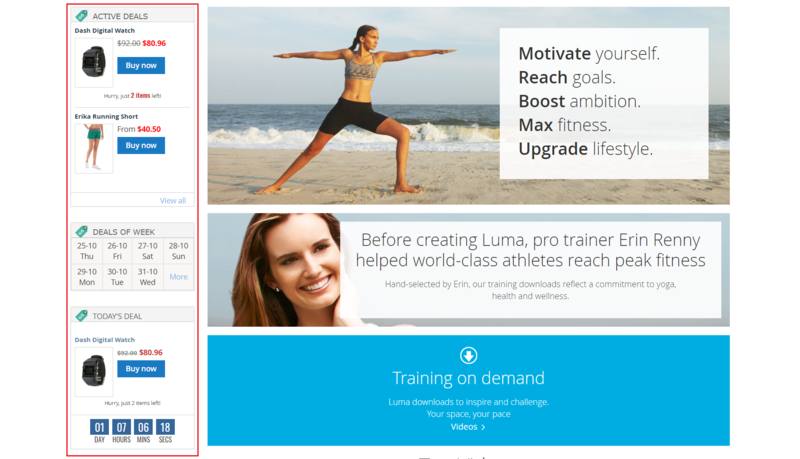 Demonstrating a countdown timer on the product page makes a great effort that enhances customers purchase products before the discount offer is closed. This feature can be configured in backend easily. You can also change the background color of the countdown timer to your favorite color. 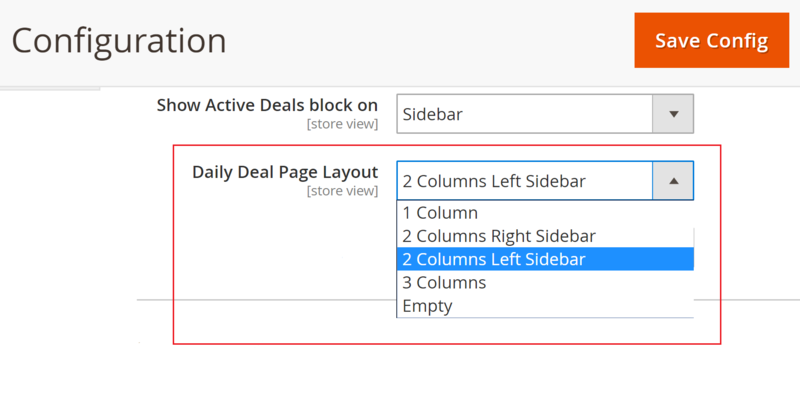 The Daily Deal for Magento 2 extension allows store owners to display "Today's Deal", "Deals of Week" and "Active Deals" blocks on the sidebar. 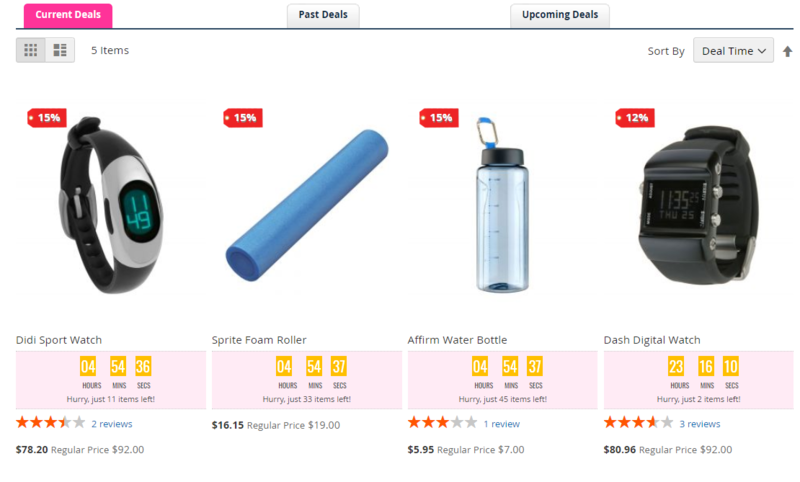 Customers can easily see the deals from any place on the site. Since then, store owners may gain more revenue thanks to the increase in customer's attraction. When you want to create a deal applied to several products, what would you do to boost up the working process? 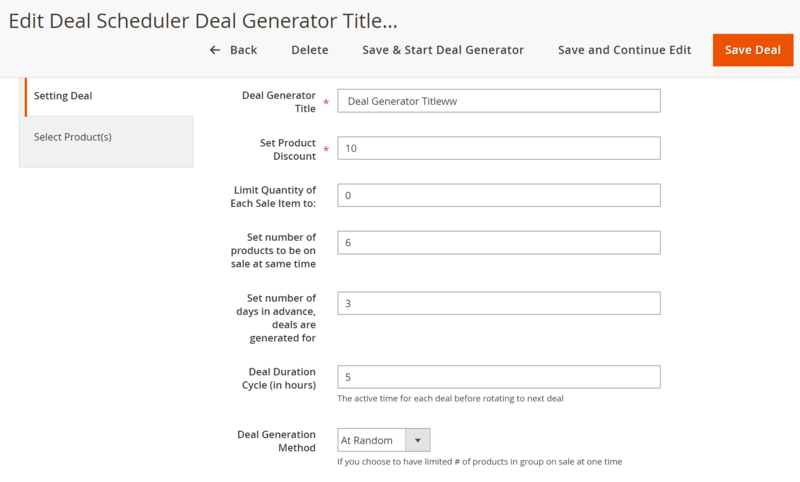 This feature saves a lot of time for the store owners because it allows them to generate multiple deals at the same time instead of creating one by one. Furthermore, even if the number of deal products you choose is higher than the value has been set, the Deal Duration Cycle will ensure all the selected products will be processed. Store owners can select their preferred style optionally and easily. The extension let store owners display a discount label on each deal and customers can easily catch the sale-off information at the first look. Store owners are capable of configuring the label image and displaying the discount percent or not. I can easy config and use follow my plan.